Commentary on the latest tinnitus news and research developments, case studies and other updates from The Tinnitus Clinic. Two pioneering tinnitus treatments have been introduced for the first time at a hearing clinic in Warrington, offering new hope to thousands of sufferers. Hearing specialist Shamim Patel has joined The Tinnitus Clinic to take on a new role at its flagship site in London. Shamim has been appointed as a Senior Audiologist and Practice Manager at The Tinnitus Clinic, Harley Street. A day without tinnitus: "tranquillity"
What would a day without tinnitus sound like to you? To mark Tinnitus Week 2019, from 4 - 10 February, the team at The Tinnitus Clinic has launched an awareness raising campaign to engage with sufferers. More people across the UK can now benefit from the very latest tinnitus treatments, following continued growth of The Tinnitus Clinic. Millions of people across the UK and Europe can now benefit from the very latest tinnitus treatments following a major expansion project..
Top tips to keep your hearing healthy over the festival period, from Mark Williams, Chief Audiologist at The Tinnitus Clinic. Investigating if strategies from Dramatherapy supervision could enhance NQTs’ experience of self-efficacy and coping strategies in their new role; Dr Julianne Mullen shares the conclusions drawn from the results of her doctorial research. Three specialists from the leading provider of tinnitus treatments in the UK have joined experts from Whipps Cross University Hospital to deliver a paper on the causes, assessment, and management of a less common but more troublesome form of the condition. A doctor who works closely with The Tinnitus Clinic and assisted in compiling its First Appointment Guide has met the Prime Minister after being shortlisted for a prestigious national award. Tinnitus sufferers in Malta will be able to access long-term relief from the condition for the first time with the launch of a partnership between The Tinnitus Clinic and independent hearing clinic Loud and Clear. Our MD, Josephine Swinhoe, is now a guest blogger for the HuffPost! Launch of new clinic offers hope for Glasgow’s 49,000 tinnitus sufferers. As the only clinic in the UK to offer the Levo® Therapy System for Tinnitus, we are thrilled to announce it has won gold at the 2017 Medical Design Excellence Awards (MDEA). A soldier whose hearing was irrevocably damaged while serving in Afghanistan is encouraging others to seek help after finding a treatment that has helped him manage his 'horrendous’ tinnitus to the point where he barely notices it. As well as helping patients find relief from tinnitus, we also help patients with hearing difficulties to find a new lease of life from our specialist hearing solutions service. Patients seeking help from The Tinnitus Clinic often tell our clinicians that they have found it difficult to get the right help for their condition elsewhere.This problem has concerned us for some time so we invited our patients to participate in a survey to see if Daniel's experience is common for tinnitus sufferers nationwide. An award-winning doctor who runs a five-star rated surgery is championing a ‘simple, comprehensive and GP-friendly’ guide to help healthcare professionals better understand and treat tinnitus. A pioneering treatment which uses the power of the brain during sleep to treat tinnitus, is now available in the UK. The Tinnitus Clinic has won the Audiology Practice of the Year Award for 2016 for its work in treating people with the debilitating conditions of tinnitus, hyperacusis and hearing loss. A company director diagnosed with tinnitus after nearly 50 years of loud noise exposure is warning shooting enthusiasts to protect their ears this season – or risk permanently damaging their hearing. Patients at The Tinnitus Clinic Leeds will be seen by our Audiologist Mike Wells who is highly experienced in using the latest evidence-based therapies to sustainably reduce tinnitus symptoms. People living with tinnitus in Scotland can now be treated in two additional clinics in Glasgow and Stirling. These clinics are run by Chris and Martin Stone of the Hearing Clinic UK and offer the exclusive range of treatments from The Tinnitus Clinic. The winner of this year’s BHSAA People writing competition is The Tinnitus Clinic’s chief audiologist, Mr. Mark Williams. Mr. Williams was awarded the prize for his research on recreational noise levels in London in connection with Noise Action Week and aimed to raise awareness of noise exposure. Resident therapist, Julianne Mullen recently attended the prestigious American Academy of Audiology conference to present results of a pilot study showing the benefits of her counselling skills training for tinnitus practitioners. In February 2013, The Tinnitus Clinic posted a seven-minute video about Acoustic CR® Neuromodulation, our treatment for tinnitus, on the video-sharing website, YouTube. Last week, the number of views for this video surpassed 500,000. The shortlist for the British Tinnitus Association’s (BTA) prestigious Marie and Jack Shapiro Prize has been announced. A Langley Park resident was forced to abandon his much loved job after being tormented by tinnitus which was made worse by the announcements systems at the races. Super-keen birdwatchers chasing the glory of being the first to hear cuckoo this year may be foiled because their hearing’s not good enough. The Tinnitus Clinic in Manchester is now offering joint ENT and Audiologist appointments as of Friday 5 February 2016. The joint consultations will be conducted by Mr Sean Loughran, an ENT consultant surgeon since 2005, alongside senior clinical audiologist of the Manchester tinnitus clinic, Mr Mike Wells. The Tinnitus Clinic is pleased to announce that we have adopted Hearing Link as our charity of the year for 2016. “Is it true I have to live with this noise for the rest of my life?” This is just one of the disheartening statements that we at The Tinnitus Clinic hear regularly from distressed patients. Recognising that GPs might need more support in managing their first contact with tinnitus patients, The Tinnitus Clinic has published the “Tinnitus First Appointment Guide for General Practitioners”. Senior Audiologist, Mr Rekesh Patel of The Tinnitus Clinic in London is being commended for his high level of professionalism, care and commitment demonstrated to patients by one of the most prominent hearing related panels in the UK. Published in the Dorset Echo. A tinnitus sufferer has described living with the condition as “torturous” and feels as if he has been given up on by doctors. 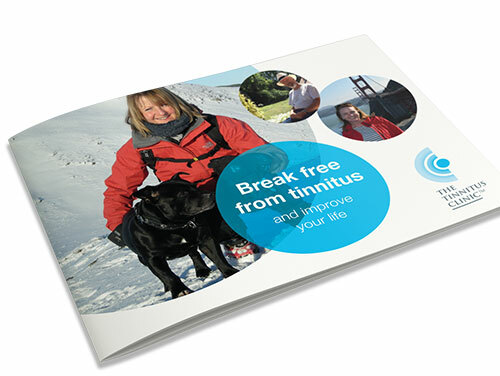 We know that when unbearable tinnitus symptoms first strike, your life is turned upside down. Mark Williams, Chief Audiologist at The Tinnitus Clinic, will deliver the keynote address on the first day of the International Hearing Aid Conference and Expo on Audiology and Hearing Devices on August 17th and 18th in Birmingham, UK. Following The Tinnitus Clinic’s report on the need to protect our hearing from recreational noise, we were pleased to read about an emerging product called HearAngel. The British Tinnitus Association and The Ear Foundation are carrying out research to examine the support for people with hearing loss who experience tinnitus. We hope you are able to take part. The questionnaire will be closed on the 22nd of June. The chance of an improved life for six million people in the UK living with tinnitus is offered by an extensive study published this week. Tinnitus affects around 10% of the adult population in the UK and in its severe form can cause sleep loss, anxiety, depression and a significant reduction in their quality of life. Our Clinic Director, Josephine Swinhoe, spoke recently at the May meeting of the Lincoln Tinnitus Support Group. Run by Lorraine Tipler of Hearing Help Ltd, this group provides support for people with tinnitus in Lincoln and the surrounding area. A new product claiming to reduce the impact of tinnitus will be launching in the UK later this year. The device, aptly named the "Mutebutton", includes headphones and a lollipop-like device that sits on your tongue. Just one visit to a bar or night club playing loud music could damage your hearing forever writes Mark Williams of The Tinnitus Clinic. Noise levels recorded inside several night clubs and bars were between 85-100 decibels - well above with the UK's Health Executive recommended safe level of 84 decibels. The readings were taken as part of Noise Action Week by The Tinnitus Clinic. Here at The Tinnitus Clinic, we regularly receive enquiries about our evidence-based tinnitus treatments from across the South West of England and Wales. Therefore, in response to demand, we have now opened a new consulting room in Bristol. A new patient study on Acoustic CR® Neuromodulation, conducted by our Chief Audiologist Mark Williams and colleagues from the UK and Germany, has been published in the international peer reviewed journal, Frontiers in Neurology. Krysta Callander is a PhD student in the Melbourne School of Psychological Sciences, Australia and is investigating the impact of sound sensitivity on a global scale. She has created an online survey for people who experience this condition to help to identify the similarities and differences between hearing symptoms. This in turn will raise awareness of these auditory conditions and aid the diagnostic process. closing date for entries will be 31st March 2015. In 2014, Nottingham University Hospitals Trust (NUH) took the difficult decision not to publish the results of the long awaited double blind clinical trial into the efficacy of Acoustic CR© Neuromodulation which was run at Nottingham Hearing Biomedical Research Unit, a partner of NUH. Our Clinic Director, Josephine Swinhoe, was pleased to be invited to speak at the December meeting of the South East Hants Tinnitus Support Group. “It was always my aim to extend our network through franchise and partnerships, working with the very best ENT and audiology providers possible. 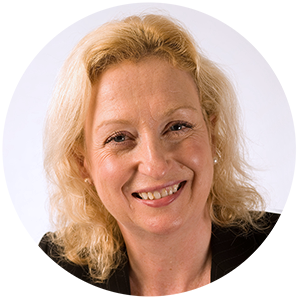 Now The Tinnitus Clinic Ltd has the freedom to do that, operating as an independent expert treatment provider for people with tinnitus.” says Managing Director, Josephine Swinhoe. Earlier this month, Matthew Clark, the ENT consultant at our Cheltenham Clinic, joined a group of two other surgeons, two scrub nurses and an anaesthetist to undertake a surgical ear camp in Nepal. Mark Williams the Principal Scientific Audiologist at The Tinnitus Clinic presented the results from a 66 patient study at the British Academy of Audiology Conference in Bournemouth. In February 2013, The Tinnitus Clinic posted a seven-minute video about Acoustic CR® Neuromodulation, our treatment for tinnitus, on the video-sharing website, YouTube. Earlier this month, the number of views for this video surpassed 200,000. We are pleased to announce a new partnership with the London Road Hearing Centre, which will bring The Tinnitus Clinic’s range of evidence-based treatments to people living with tinnitus in Leicester and the surrounding areas. In May this year, Dr Hannes Wurzer a leading ENT physician specialising in tinnitus in Germany presented the findings of an 18 month clinical study of Acoustic CR® Neuromodulation therapy as a poster at the International Tinnitus Seminar in Berlin.